Obliquely arriving at painting by way of a Degree in Architecture, Chati Coronel has consistently found honest expression through painting for the past 24 years. Although her influences include a whole spectrum from Tibetan Buddhism to fairy tales and poetry, Coronel's artistic vision is crystal clear. She is known for her multi-layered paintings that make use of raw strokes, rough lines and soft colors to arrive at a primal core. Chati Coronel was the recipient of a Vermont Studio Center Grant for Artist Residency in 2000. 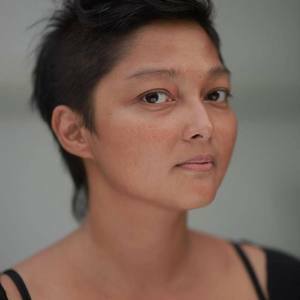 She was one of 5 artists chosen to participate in Louis Vuitton's 20th Anniversary Exhibit in Manila in 2013 and her show, The First Kiss on Earth in Singapore was listed as Artnet's Top Ten International Shows of 2014. Coronel lives and works in Manila and is represented by Silverlens Galleries.